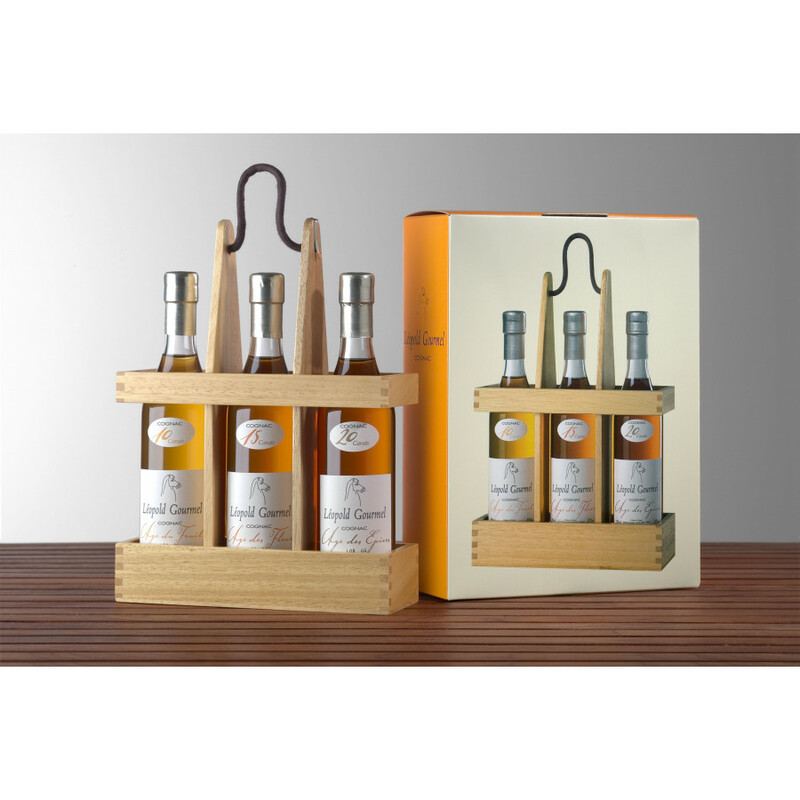 The Leopold Gourmel Promenade Set of Cognac is a true delight. One of Max's favorite brands, this set consists of three excellent Cognacs from this eco-friendly Cognac house, each bottle being 20cl in size. 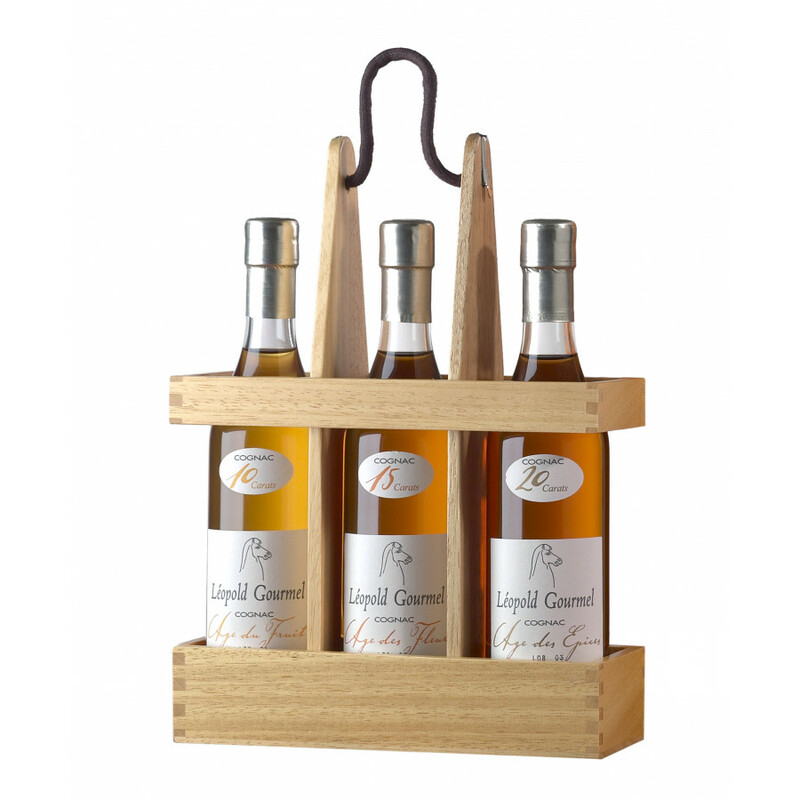 The three bottles are presented in a delightful wooden case. The Age du Fruits really does showcase how fruity a Cognac can be. It's an old XO from the Fins Bois terroir, and is a delightful pale gold color. As with all of the Cognacs in this range, it's produced without additives, has no artificial wood notes, and with no added caramel. It's pure and simple - exactly the way a good Coganc should be. Enjoy hints of almonds and nuts, with a palate dominated by fruity notes such as citrus, apricot, orange, and lemon. Truly fine and elegant, this is an excellent Cognac to pair with tender game meat and good red wine. The traditionalist will love this Cognac - it's pure vintage, with no additives, and aged in un-toaseted extra fine grain French oak casks. Fine gold on the eye, with aromas that are floral and vanilla. And on the palate the sensory journey of this XO continues, being round, honeyed, and with wonderfully satisfying finish. This really is a special Cognac. Designated 'tres vieux', meaning very old, this Cognac was a minimum of 30 years in the making. When you say that you can't rush a good thing, then this is certainly true of this delightful Cognac. A wonderfully pure, incredibly aromatic and flavorsome offering. It's dark and golden on the eye, and reveals round, sweet hints of honey and leather on the nose. On the palate it's powerful, but slow, gradually revealing spicy notes, with pepper and coriander. The finish is dominated by delicious ginger and butterscotch. A wonderful tasting set, and one that would be much appreciated by the Cognac connoiseur.